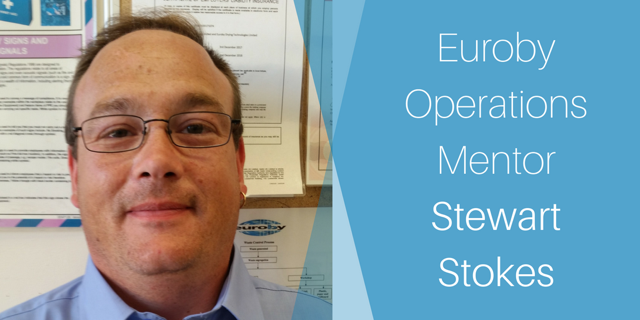 Euroby is pleased to announce the appointment of Stewart Stokes as Operations Mentor. This is an entirely new role that has been created as part of Euroby’s ongoing quest to continuously improve the quality and consistency of services delivered to clients. Stewart is based at home which is ideally located to be within easy reach of our customers. What is an Operations Mentor? Across all our service lines, speed, efficiency and effectiveness are core to what we do. Euroby has built a reputation among customers as a trusted partner in solving their problems and getting the right people, equipment and materials on site to meet whatever environmental waste needs they are facing. We have achieved this reputation through long years of experience and by appreciating that this is an industry in which we have to constantly review and improve our processes, to meet evolving needs in evolving times. Every business is heavily reliant on tech in the 21st century, and Euroby is no different. The Operations Mentor will work with personnel at all levels to carry out training in the latest software, develop our IT know-how and explore ways to use the latest online and mobile technology to enhance service delivery. When we respond to an emergency call out, we have learned to always expect the unexpected. No two jobs are the same, and our skilled team of engineers are great at thinking on their feet. The Operations Mentor will act as an additional troubleshooting resource and provide technical support on specific projects. He will also share best practice and ensure that every job we do adds to our overall knowledge bank. Nothing is more important to us than the safety and welfare of staff, contractors and clients at operational sites. The Operations Mentor will coordinate and carry out a programme of safety and cleanliness inspections and audits, ensuring that every site operates to the highest standard. This will provide an opportunity to both correct any shortcomings and to share best practices across the company. Managing a finite supply of technical and human resources across multiple projects is always a challenge. The new Operations Mentor will take a helicopter view of ongoing operational projects, ensuring there is continuity between shifts, and effective management of fuel and supplies. As Stewart settles in, the duties and responsibilities that come with the position of Operations Mentor will be subject to further review and revision. Ultimately, this is a hugely important appointment that will further enhance reporting and efficiency across all of Euroby’s operations. This means clients will enjoy an even higher level of service than they have come to expect. Everyone at Euroby extends Stewart a warm welcome and wishes him every success in his exciting new role.